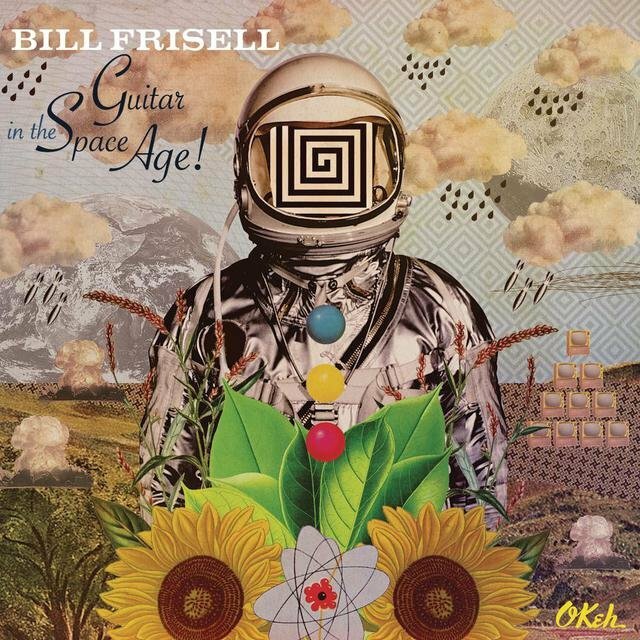 On his new album, Guitar in the Space Age!, Bill Frisell revisits the music that defined his youth and inspired him to pick up the instrument he would come to master. Part autobiography, part concept album – the record finds the virtuoso peeling the layers off popular guitar songs of the ‘50s and ‘60s, which would come to narrate and even impress upon the extraordinary cultural shift in America and the world over. In the event of Guitar in the Space Age! 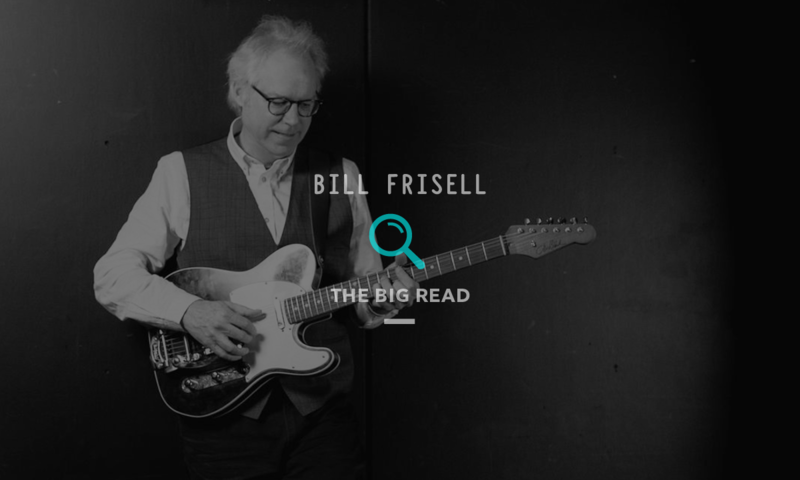 being selected as our HiFi Album of the Month, we sat down with the preeminent guitarist to talk about the album, the era, his process, and what it means to be a “jazz” artist. Despite being titled Guitar in the Space Age! this album is quite the opposite of futuristic, thematically speaking. - I never thought about it that way. At the time, when this music was coming out, before I was even in high school, it was all so futuristic. It was all about the space age. There wasn’t this sense of nostalgia we see today, it was: how can we make everything new and different and modified? Everyone was looking toward the future. - I think a lot about that attitude. It was such a weird time because there was this optimism, yet also this palpable fear in the air. Maybe it’s always like that, but there seems to be even more doom and gloom today. We had that back then, but there was also this sense that we’d be able to escape from it. Does that mean you have less optimism these days? - Well I do, but I’m trying to fight that. I gain a lot of wisdom from these older guys. I saw this interview with Pete Seeger shortly before he died – and you know on this record we play “Turn! Turn! Turn!”, which he originally wrote. [In the interview] they were trying to get him to say something so negative, like, ‘you’ve been around all this time, Pete, and look at how messed up things are.’ But he still had this view that there are amazing things going on. - He talked about focusing on the small things – you can’t be thinking about the big picture all the time. If you just do the best you can, right close to where you are, people will feed off the energy from that, and it becomes contagious. It causes a chain reaction of goodness, and I really believe in that. If you look at the news all the time of course you’re going to get bummed out. It’s about doing the best you can where you are. You’ve described this as a very personal, even autobiographical record. Can you elaborate? - A lot of the music on this record is songs I was hearing when I first tried to play music. The first record I ever bought was a 45 rpm single that had The Beach Boys’ “Little Deuce Coupe” on one side and “Surfer Girl” on the other. I wasn’t playing a lot of these songs back then, but I was hearing them – The Kinks or The Byrds or Junior Wells. But the surf music – that was the very first stuff I started playing. That’s the stuff that made we want to play the guitar. That’s the stuff that’s really connected to my childhood. - Then there are things on on this record that I didn’t know about back then. I don’t think I heard Speedy West or Jimmy Bryant or Merle Travis back then. That stuff came later, as I got deeper into the guitar, as I was trying to figure out where things were coming from. I wanted to pay tribute to them too. So what was it that made you make this record now? - There’s an element of nostalgia for sure, but I like to think I was trying to strengthen the foundation of what I’ve been doing for so long. This is the music I played first, but I don’t feel like I got enough time with it at the time. From the time I heard surfer music to the time I heard Miles Davis, was a period of three, four, maybe five years. I couldn’t even really play this stuff back then, so it was like going back to prove I could actually do it. - After all this time, looking through this lens of more than 50 years of playing, I see things I never saw in it before. It just feels amazing to play this music again with that perspective. It kind of felt like this weird research project. [laughs] It wasn’t about trying to recreate something that happened before. I just wanted to look at it again and see what I could find. I like to imagine what it felt like the first time something was heard. I think of Louis Armstrong – or anything we take for granted. It’s so much a part of what we hear now, but just imagine what that sounded like the first time anybody ever heard it. It was so radical. So I try to think about that and take some of that energy. It’s like trying to figure out how to do something new by looking at something old. Many of the songs you interpret on this record, and in general, are songs that are firstly noted for their lyrical content – such as The Beach Boys, The Byrds, The Kinks – but of course there’s a distinction between the lyrics and the singing itself. When you hear Ray Davies sing “Tired of Waiting”, do you hear the words themselves or the sounds he’s making with his voice? - It’s a combination I think. A lot of the words do matter to me. But the way it sounds in my head has more to do with the way I make the notes come out on a guitar. Imitating singers has always been such a huge part of the way I play. Still, the words add something. Not always, but sometimes, whether its the meaning of the words or how you say it. [“Tired of Waiting”] in particular – it’s like the words are imprinted in my memory. You’re no stranger to composing and reinterpreting music rooted in this mid-20th century epoch. Is this simply a consequence of the period you grew up in, or do you think there is something special about that particular time? - It hard for me to say. I do think there was something special going on. If you think about all the music that was being made, the huge amount of energy…everyone was so into it, and everyone was playing the guitar. But being born in 1951, that’s just my time, it’s what I know, I can’t escape that. I really don’t know. I’m trying to be honest with the limits of my own experience. What does the guitar have to do with this era? What is it about the instrument that saw it emerge as the dominant tool for making popular music since? - For me, getting into music was like finding a place where you can figure things out. It’s a model for human possibility, for what humans can do together. There’s a harmony to how things work together – on a musical level but more so on a human level. The world of music always felt welcoming to me. Things were okay there. You’re first and foremost referred to as a jazz guitarist, yet when we listen to this record, it doesn’t sound like jazz to us – which goes for a lot of your recordings. Is this jazz? Do you think there’s a misinterpretation of what jazz can be? - It’s just a name. Of course it means something to me – it’s so much of what I’ve been inspired by. Thelonious Monk, Miles Davis, Sonny Rollins, Bill Evans – all these people, I guess you call them jazz people. But I think of think of jazz as a way of approaching the music. It’s a process, not a style. It can have an outward sheen, but what’s important is how it works on the inside. The music I play, the mechanics of it, comes from there more than anywhere. - I get so frustrated worrying about what something is called. I mean, in my mind, all these things can coexist – they do coexist. Whether it’s Stravinsky or Robert Johnson, The Beatles or Jimi Hendrix, or music from around the world. It’s all just floating around in my brain. It doesn’t have to be split up into these separate compartments. We selected Guitar in the Space Age! as our HiFi Album of the Month because we think it exemplifies a phenomenal attention to quality and detail of sound. This is a record that deserves to be heard in full and in optimal quality. As an artist, what does sound quality mean to you? - I’ve just been so lucky to be surrounded by those guys that know what they’re doing. I’ve long had an ally in Lee Townsend, who produced the record, and in Tucker Martine, who engineered it. We did it at Tucker’s studio, which is an amazing space. [The recording] is basically live – it wasn’t pieced together. We were just in there, playing together at the same time – so it’s pretty much what we sound like. The situation was set up just right for us to play how we like to play and sound like we want to sound. What difference does it make how music is heard? - It’s weird, people listen to music in such a different way these days. It’s all done with iPods and earbuds, and there’s so much noise around all the time. I don’t get enough time at home anymore, but I still think its so nice to be at home, have it be quiet, and just listen to something and focus on it. It means more.